There's a groundswell for college basketball to switch from halves to quarters, but there aren't too many compelling reasons to make the change. The 2016–17 regular season is off to a terrific start, largely because the changes the men’s basketball rules committee implemented a year ago are having the intended effect. The shorter shot clock, the bigger arc, the tighter whistles—they all have created a more aesthetic, free-flowing game. Since rules changes are made on a two-year basis, the committee did not have any big decisions to be make last summer, but it will again after this season. At the top of the agenda in 2017 will be three significant questions: whether to widen the lane, whether to extend the three-point line (which would probably have to be done in concert with a wider lane), and whether to go from two 20-minute halves to four 10-minute quarters. The first two questions have been considered in the past. But the four-quarter question will be taken up for the very first time. The move to four quarters would have two main consequences. First and foremost is a big change to how team fouls are processed. Right now, a team reaches the one-and-one bonus when its opponent commits its seventh foul of the half. Once the opponent commits 10 fouls, that team shoots two shots for each one committed thereafter. In the four-quarter system, a team shoots two free throws on the fifth team foul, but that resets to zero at the end of each quarter. So that’s a big difference. The other consequence is a reduction in the number of media time outs. Right now, there are four TV time outs per half. In the four-quarter system, there would only be three. Viewers might be happy with that, but you can imagine how the network muckety mucks would feel. When women's college basketball went from halves to quarters two years ago, they put in an additional media time out on the first time out of the second half. Still, that’s a lot of lost ad revenue over the course of the season. If the men went this route, they could fix this by adding yet another media time out at the first time out of the first half. But if that’s the case, what would be the point in going to four quarters in the first place? You would think the argument to go to four quarters would center on a desire to reduce team fouls and free throws, and therefore speed up games. However, those things did not happen in the women's game. During the 2014–15 season, the last where the women played two 20-minute halves, teams averaged 17.52 fouls and 18.13 free throws per game. After the change, they averaged 17.55 fouls per and 17.15 free throws per game. The length of games was also roughly the same. Why, then, would the men follow suit? The main argument in favor seems to be, “Everybody else does it.” The NBA and FIBA have long had the four-quarter system, so with American women’s college basketball now on board, only American college men play in halves. When I asked Big Ten commissioner Jim Delany, a highly influential figure who runs a study group devoted to such matters, where he stood on the question, he indicated that he thought it should at least be considered, given that every level from CYO and grade school to the pros uses the four-quarter system. “[I’m] not sure how we got on the island on this one,” he wrote to me in a text message. It’s also worth nothing that the four-quarter system provides for two more opportunities for buzzer-beaters. That can make the games more exciting. Though the rules committee didn’t vote on this question in the summer of 2015, it did ask coaches to weigh in as part of its annual survey. Asked whether they agreed or disagreed with the idea of going to four quarters, here’s how they answered: 20.8% strongly agreed, 29.2% agreed, 37.5% disagreed, and 12.5% strongly disagreed. In other words, it was an exact 50/50 split. To me, however, the more telling number is that only a third of respondents felt strongly one way or the other. It's just not that big of a deal. This is why I’m guessing—indeed, I’m hoping—that the rules committee leaves well enough alone on this one. If anything, I think it’s good that men’s college basketball has this distinctive feature. If it’s not going to speed the games up, or lead to fewer fouls, or make more money for the stakeholders, then why do it? Let everybody else try to be like everybody else. Men’s college basketball is living a pretty good life on two-halves island. • UCLA made the biggest statement of the week by beating Kentucky in Rupp. As talented as the Bruins are, they are showing that they also have efficiency and chemistry. It’s a classic whole-is-greater-than-the-sum-of-their parts setup—and the parts a pretty doggone good. Six players scored between 13 and 19 points in the win. Senior guard Bryce Alford, who has been accused in the past (sometimes fairly) as being a gunner, took just five shots. Freshman big man T.J. Leaf channeled his inner Kevin Love by dishing five assists to go along with 17 points and six rebounds. Talk all you want about UCLA’s defense, but the point of basketball is to outscore your opponent. UCLA is gonna do that a lot this season. Not only will the Bruins continue to win, but they will also be very fun to watch. • Kentucky, of course, is still a threat to win the championship, but I remain concerned about this team’s ability to score in the halfcourt. That becomes paramount in the later rounds of the NCAA tournament, where UK will face teams that can match its speed and athleticism, yet exceed its collective experience. Freshman center Bam Adebayo is not a reliable post scorer, and the only consistent three-point shooter has been freshman guard Malik Monk. I’m not saying the Wildcats can’t get better in this area. But I am saying they need to. • Oh, and I loved Bill Raftery’s comparison of Lonzo Ball’s shooting form to Jim Furyk’s golf swing. The lesson: Don’t look at the swing. Watch the ball. The kid is shooting 43.5% from three-point range so he is obviously hitting a lot of fairways. Let’s not overthink it. • The season is five weeks old, and I can’t even tell you who the top three front runners are for national player of the year. If you asked five so-called “experts,” you’d get five different answers. 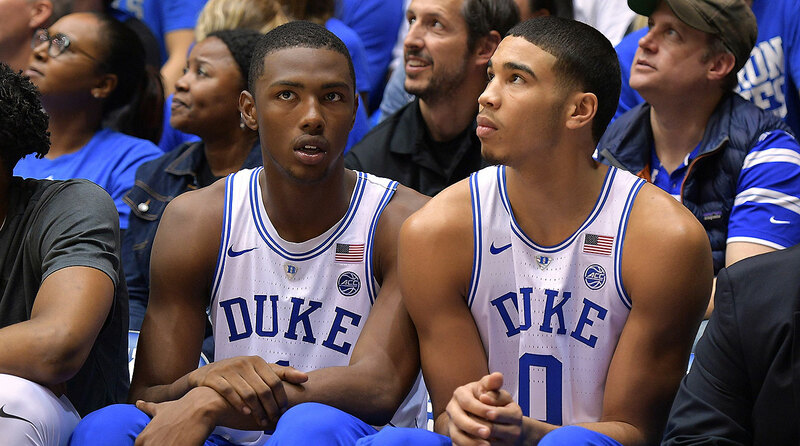 • Jayson Tatum and Marques Bolden finally suited up for Duke in Saturday’s blowout win over Maine. Seems no one is really sure when Harry Giles will be back, but regardless, the last thing I’m worried about is how the freshmen will disrupt things once they are all healthy. If that’s a problem, then I can show you 350 other coaches who would be thrilled to have it. Oh, and sophomore wing Luke Kennard has been by far this team’s best player the first month, in case you didn't know. • I see Carlton Bragg has still not re-entered the starting lineup for Kansas. The 6' 10" sophomore forward, who was projected by many to have a breakout year, played 16 minutes and scored seven points off the bench in Saturday’s easy win over Stanford. They key question here is whether Bragg is going to allow himself to go through a prolonged, difficult, but ultimately productive process of getting better and waiting his turn. Or will he listen to the people in his ear who are telling him that he is blowing his chance to turn pro—as if it would be a tragedy for him to actually stay in college for more than two years. People have no idea how much pressure these kids are under, and how much pressure they put on themselves. • Here’s something else we learned last week: Virginia is not as good as we thought. The Cavaliers came very close to losing two games at home. They managed to erase a 12-point halftime deficit to squeak by Ohio State, but they got drilled by West Virginia on Saturday, 66–57. Problem No.1 is an overreliance on senior point guard London Perrantes. He was able to rescue the Cavs with 15 second-half points against the Buckeyes but shot 2 for 7 and committed three of the team’s 14 turnovers against the Mountaineers. One-man teams usually don’t last long in March. • It is really, really hard to score against Baylor. • It is really, really hard to keep Creighton from scoring. • For all the talk about Duke’s injuries, no program has been more star-crossed than Arizona. The Wildcats already lost one player (Ray Smith) to a career-ending injury and another (Allonzo Trier) to an indefinite suspension. Last week, they also lost their starting point guard, Parker Jackson-Cartwright, to a high ankle sprain. He’ll be out several more weeks, yet Arizona hung tough against a really good Gonzaga team before losing by seven at the Staples Center. The Wildcats are tough, but toughness can only get you so far. • I thought it was so cool that Rick Pitino took his Louisville team to play at Grand Canyon over the weekend. He did it as a favor to Antelopes coach Dan Majerle, but he was treated to a phenomenal atmosphere as well as an other-worldy individual performance by Grand Canyon redshirt junior guard DeWayne Russell, who scored 42 points. I wish more coaches in Pitino’s position scheduled games like this, even it leads to a loss the way it did for Tom Crean when he took his Hoosiers to play at Fort Wayne. They are special events for those home schools, and really, really good for college basketball. • Oh, and Rick, time to give freshman forward V.J. King more minutes. You know you want to. • I called Saturday’s Wisconsin-Oklahoma game for Big Ten Network, and one of my main takeaways is that Greg Gard got himself quite a find in freshman guard D’Mitrik Trice. The 6-foot point guard is an Ohio native who was a former high school quarterback and played a postgrad year at IMG Academy in Florida. His older brother, Travis, led Michigan State to the 2015 Final Four. Trice was a late April signee, but his quickness, shooting ability and court sense give a huge boost to this team when he comes off the bench. I think the Badgers’ best lineup is with Trice at the point and Bronson Koenig on the wing. • Make sure you have these two names on your top freshman lists: Creighton’s 7-foot center Justin Patton and Cal’s 6-foot guard Charlie Moore. • I love the way Butler consistently throws the ball to 6' 7" senior forward Andrew Chrabascz in the post. Very few teams have a legit post option these days, but when you have one, it just makes the halfcourt offense flow so much better. • Little tip for my fellow writers, broadcasters and grammar nerds: You don’t revert back. You just revert. Please make a note of it. • I promise you that Syracuse zone is going to be a lot more formidable come February. The Orange have a lot of new pieces, and people always underestimate how much time it takes to learn how to play in that zone. You’ll recall the Orange looked pretty mediocre for most of last season and then made the Final Four. • That’s a pretty good VCU team Illinois drilled by 18 in Miami on Saturday. Just sayin’. • Northwestern is for real, folks. I know DePaul is no great shakes, but the Wildcats led them 54–18 at halftime on Saturday and improved to 6–2. The two losses came by a combined six points at Butler and on a neutral court against Notre Dame. 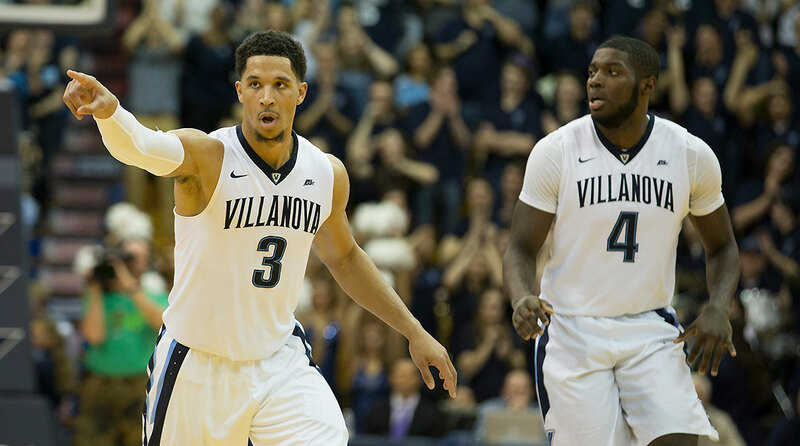 Remember, now, this school has never—never!—made the NCAA tournament. This story is gonna percolate for a while and get real big come February if the ‘Cats are still in the hunt. • I really like it when teams get older, not younger, as they go to their bench. I feel like too many coaches get caught up in starting upperclassmen to keep them happy. • I also feel like college coaches are way too quick to give the hook when someone screws up. I wish more of them would let their guys play through mistakes instead of yanking them right away. • Oklahoma State senior guard Phil Forte is 36 for 37 from the foul line so far this season. Just making sure you knew. • As you all know I’m not real big on NBA draft talk, but based on conversations I’ve been having with scouts, Florida State freshman forward Jonathan Isaac is a real hot name right now. One scout even suggested he is in the conversation for the No. 1 overall pick. And here are a couple of under-the-radar names my bird dogs are popping up: Nick Mayo, a 6' 9" sophomore forward at Eastern Kentucky who is averaging 20.2 points and shooting 46.7% from three-point range; and Josh Hawkinson, a 6' 10" senior forward who is putting up 16.5 points and 11.6 rebounds at Washington State. Remember where you heard about ’em first. • Valparaiso’s Alec Peters is having a difficult time from three-point range (23.4%, down from 44.0% last season), but I don’t believe that’s a long-term problem. And consider that despite that mini-slump, Peters is still second in the country in scoring (25.4 ppg) while making 94.4% of his foul shots. This is his last go-round in college. Catch him while you can. • There may be no more impressive player in the country right now than BYU forward Eric Mika. It’s not just because the 6’ 10” sophomore is averaging 20.9 points (on 60.9% field goal shooting), 8.5 rebounds and 2.0 blocks, but mainly because he just returned from a two-year Mormon mission to Italy. Despite his time away from the game, Mika is considerably better than he was as a freshman two years ago, when he averaged 12 points and 6.4 rebounds. Mika is big, he’s skilled and he can really run the floor. • Two pieces of (badly needed) good news for Michigan State: Freshman forward Nick Ward continues to get stronger (26 minutes, 24 points, 10 rebounds vs. Oral Roberts), and seven of the Spartans’ next nine games will be at home. Also, their first five Big Ten games are against lower-tier teams. So this is a good time for the Spartans to lick their wounds, spend a lot of time in the lab and get better. • Looks like the emphasis on traveling calls is being heeded. Teams are turning the ball over about four more times per game. 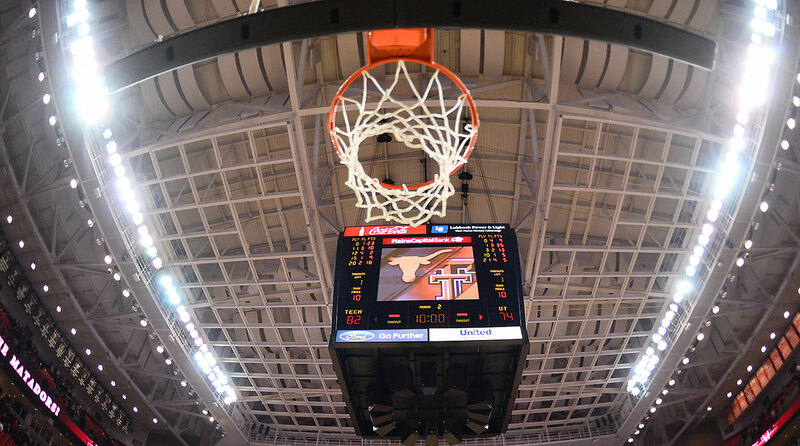 • How about Maryland overcoming a deficit of nine points or greater for the fourth time this season when they squeaked by Oklahoma State on Saturday. That’s pretty surprising for a team that has three freshmen in the starting lineup. • I’m sure I’ve said this before, but North Carolina senior forward Kennedy Meeks is one of my favorite players. I have great respect for a young man who has the discipline to lose weight and improve his conditioning the way Meeks has over four years in Chapel Hill. Says a lot of about his character and his ability to improve as a pro. • Louisville provided the template to beat Purdue last week, and it’s not complicated: Crowd the bigs and make the guards beat you. With 10 minutes remaining in the Boilermakers’ home loss last Wednesday, neither junior Isaac Haas nor sophomore Caleb Swanigan had made a field goal. Oh, and it’s also time for Vince Edwards to get going. He’s a junior now so it should be his time to shine, but it seems he has regressed. He had just one point in 22 minutes in the loss. • I love that Xavier has a policy where if a player gets 10 or more rebounds in a game, he gets to sign the plastic bubble they use in rebounding drills to keep the ball out of the basket. Coach Chris Mack told me he got that idea from his one of his assistants who used to work for Kelvin Sampson at Indiana. Reminds me of something Kelvin once told me that always stuck: If you want to achieve it, you have to emphasize it. The Gators have put together their 7–1 record against quality competition, so this will not be unfamiliar territory. The Blue Devils are notoriously tough to beat in the Garden, and should be especially so after freshmen Jayson Tatum and Marques Bolden have another few days of practice. The only chance Valpo would have in a game like this is to catch the ‘Cats off guard. Since they are coming off Saturday’s loss at home to UCLA, that is not bloody likely. TCU at SMU, Wednesday, 8 p.m. This is a sleeper game that will help us learn whether these teams are contenders or pretenders. SMU has been getting some nice early production from 6' 7" junior forward Semi Ojeleye, a transfer from Duke who ranks fifth in the AAC in points (17.5) and 10th in rebounds (7.9). Don’t you just love in-state rivalry games? All three of the Cornhuskers' losses have come against quality teams (UCLA, Virginia Tech, Clemson), plus they are playing at home. Good place to pick an upset. Another delicious in-state rivalry game. Iowa has the Big Ten’s leading scorer in Peter Jok (23.9) but not much else. And Iowa State should be in a bad mood following its loss at home to Cincinnati. The easiest way to get love from this voter is to beat a good team in a true road game. West Virginia’s dismantling of Virginia in Charlottesville far outweighs the Mountaineers’ hiccup against Temple two weeks ago. Plus, West Virginia is ranked No. 9 on kenpom.com. Cincinnati pulled off a terrific win in overtime at Iowa State, and Virginia Tech knocked off Michigan in Ann Arbor. Every team is going to have bad losses, but not every team can get it done in those environments. I had to split the baby with Indiana, which had a nice home win over North Carolina but has that loss at Fort Wayne on its résumé as well. Keep in mind that I do not view rankings as a reflection of a team’s overall résumé. I put much greater weight on how a team is playing in the last couple of weeks. So as that Fort Wayne loss gets further into the rearview mirror, the less it is going to matter with me. Syracuse’s résumé isn’t all that bad—the Orange are No. 23 on kenpom.com—but they badly failed the eye test in losses to South Carolina (by 14 points) and Wisconsin (17). I’ve been toggling Michigan State in and out of my poll since the season began, but the truth is that this team has done nothing to warrant being ranked. Rhode Island came tantalizingly close to getting a big road win at Providence, but couldn’t quite pull it off. Meanwhile, Arkansas State’s stay on my ballot was painfully short. The Red Wolves, who won at Georgetown on Nov. 17, got drilled at TCU by 23 points on Saturday. That sent me looking for an under-the-radar mid-major to take their place. I gave a good look to Middle Tennessee (8–1 with a road win at Ole Miss) and UNC-Wilmington (7–1, with the lone loss coming on a neutral court against Middle Tennessee), but it didn’t take long for me to settle on my tried-and-true favorite, Valparaiso. The Crusaders are off to a 7–1 start under first-year coach Matt Lottich. Their only loss came on the road to Oregon, and as I mentioned above I have long nursed a man-crush on Alec Peters. I pretty much drove the Valpo bandwagon for most of last season, so I guess it's time for me once again to grab the wheel.